The Basin Management Plan (BMP) is the key, principal document that guides all of the major projects and programs pursued by the Agency. The "revised" version of the BMP was adopted by the Agency's Board of Directors in February 2002. The Agency's first BMP was previously adopted in 1994. A redraft of the BMP was prepared in 2000 but was delayed so that more analysis of local water supply options could be evaluated and incorporated into this plan. The Basin Management Plan was then updated in 2014. During the preparation and review of the revised BMP, the Agency analyzed combinations of 14 different project components and five different management strategies. 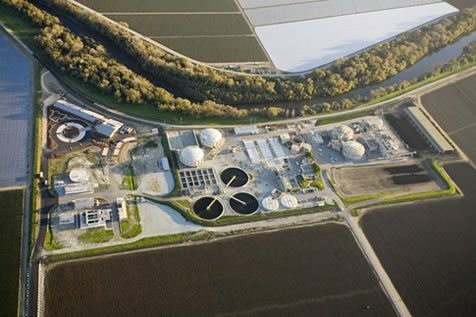 The final strategy adopted by the Board was called the "Modified BMP 2000 Alternative" and included the following five major projects and programs: 1) Coastal Distribution System pipelines, 2) Recycled Water Project, 3) Harkins Slough recharge Project, 4) 54-inch import water pipeline project (11,900 acre-feet of imported supply) with local aquifer storage and recovery and, 5) a water conservation program. In addition to providing a plan for the Agency to pursue, the BMP is also a "basin-wide groundwater management plan" meeting the requirements of California's AB 3030 Groundwater Management Act.